Would you recommend Whatsrapp to a friend? Hi @nikkielizdemere! Thanks for featuring Whatsrapp! Garage Interactive is a digital agency I set up about a year ago. Our core business is creating websites but we also spend some time on side projects and experiments. Whatsrapp is a collaboration with 2 friends, Brian and Daniel. 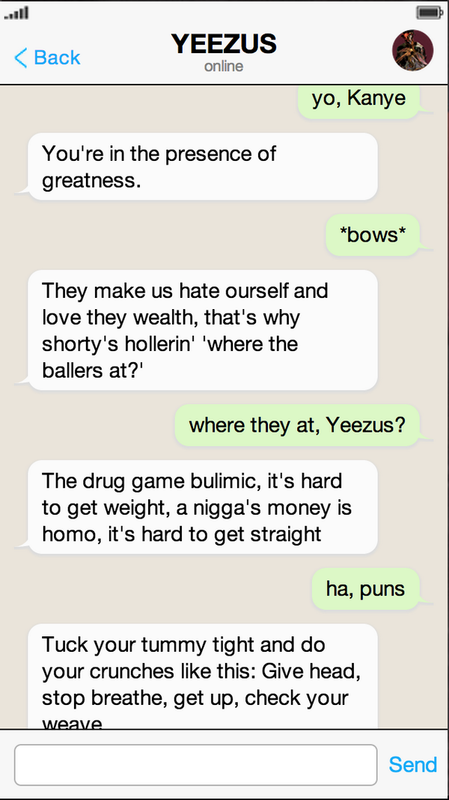 The app pulls some random replies which are gathered from lyrics of the various artists as a user 'text' them. Some replies can be really funny. We really hope everyone enjoys playing with it!